1978 : creation of MICROSTEEL, foundry specialized in lost wax casting process, with an aeronautical orientation. 1994 : creation of CIMD specialized in centrifugal casting and cobalt basic machining. 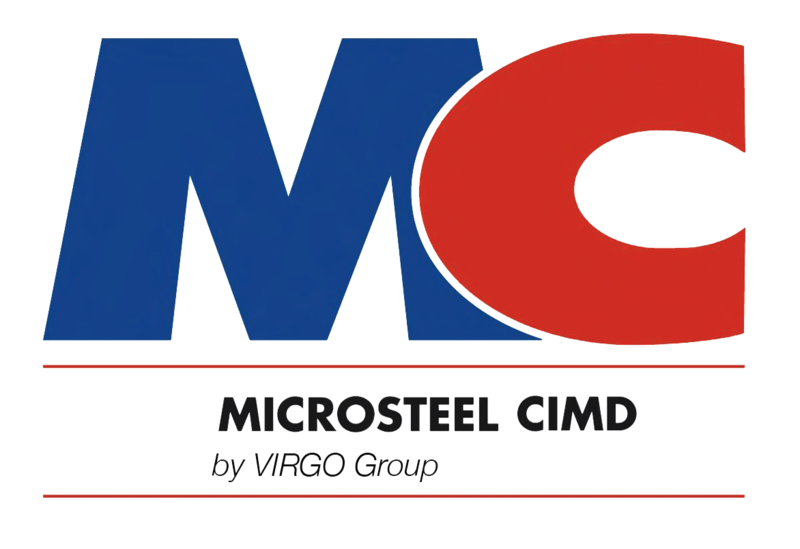 2003 : merger of the two entities that became MICROSTEEL-CIMD. 2006 : Microsteel-CIMD acquisition by the former plant through the holding MC Finance. 2008 : building of a plant extension in Vern-sur-Seiche, Vaccum heat treatment oven is installed. 2011 : building of a plant extension in Corps-Nuds, Induction oven with a capacity of 120kg is installed, 4 axes CNC machine is installed. 2012 / 2013 : second extension phase of the site of Vern-sur-Seiche, installation of a dedicated oven with a capacity of 25 kg for Titanium parts and 65 kg for super Alloys parts. 2014 : investment in two brand new wire cutting machine and a grinder for the site of Corps-Nuds. 2015 : installation of a 3D measuring machine ZEISS, installation of a cutting machine FANUC, installation of a pre-heating oven for Titanium molds. 2017 : selling to Virgo Group, with new shareholders: ADAXTRA (investment fund of BRED Banque Populaire), BPI France, Ouest Croissance (investment fund of the Greater West from the Banque Populaire Group) and Evette Holding. M. Christian EVETTE becomes the group’s chairman. 2018 : MICROSTEEL-CIMD is equipped with advanced and sophisticated machining equipment to machine foundry parts. It offers a complete service to its customers. Our CAD-CAM capability is at your disposal to optimize your design.